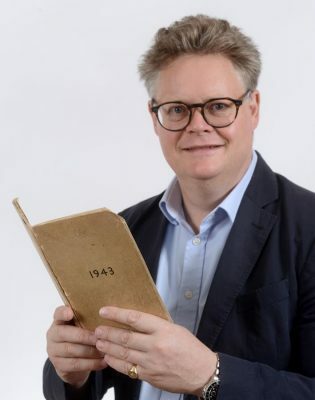 A diary, kept by Bertie Kennedy Blount who served with the SOE (Special Operations Executive) during the Second World War, along with other Bertie Blount ephemera is going under the Charterhouse hammer in their auction of militaria and other collector’s items on Friday 21st September. Colonel Bertie Kennedy Blount was born in 1907. He was educated at Oxford University where he gained a first in Chemistry. In 1940 he was a given a commission as a 2nd Lieutenant in the Intelligence Corps and was soon seconded to the Special Operations Executive (SOE) where he was scientific adviser of X section. Blount was heavily involved with the creation and testing of equipment that was issued to SOE agents which included the waterproof suit issued to agents for dropping into water. In 1943 Blount was dropped by parachute into Greece to liaise with SOE agents and other units on the ground to find out the effectiveness of equipment and supplies. In 1944 he dropped into south west China to report on the Japanese military strength in the area. As part of the Department of Scientific Research (DSR) with the SOE, Blount was part of the planning team for Operation Foxley, the plan to assassinate Adolf Hitler by use of poison. This is something that it is said Blount was not confident of its success. The operation was scrapped when Adolf Hitler took his own life in May 1945. In the post war years he served with Control Commission Germany in various scientific and research roles. 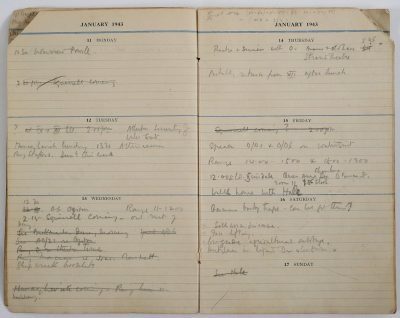 In the Charterhouse lot there are three diaries from 1918 & 1920 which note general life which included with numerous lunches, riding out, walking, cricket and shopping. 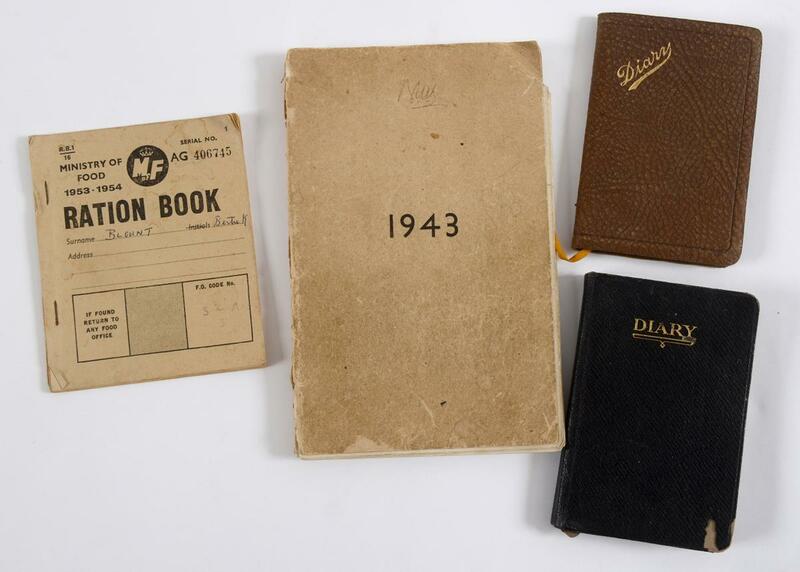 The Second World War diary, in paperback due to rationing, dates from 1943. 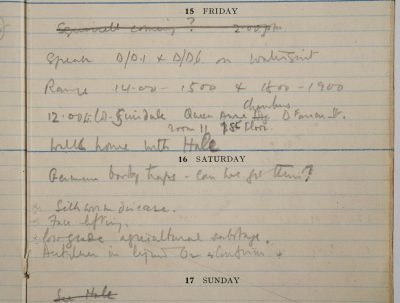 This diary continues to note his lunches, but also a few other interesting notes including “German booby traps can we get them?”, “Low grade agriculture sabotage” and “Take Commander L to IX” which shows his concern about keeping his diary private. 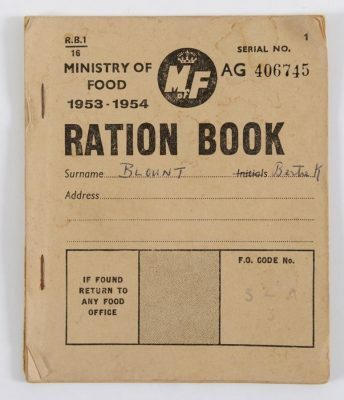 There is also a Ministry of Food Ration Book which his name written on it from 1953/54 which completes the lot which Charterhouse have estimated to sell for £100-150 when it is sold in their Sherborne salerooms on Friday 21st September. Charterhouse are also accepting entries for their auction of classic & vintage cars on Wednesday 12th September, contact Matthew Whitney at their salerooms.